Mind Mapping, the technique invented by Tony Buzan, is proven to boost your productivity, efficiency, creativity, memory and improve your ability to learn information. The beauty of Mind Maps is that they are adaptable. The radiant layout means that you can keep adding ideas without losing a coherent structure, and personalise it with your own images and symbols to boost your recall of the information. Mind Mapping also helps you to focus on the relationships between your ideas and uses associations to help you generate more. Perhaps most importantly, a Mind Map can consolidate large quantities of information onto one page. 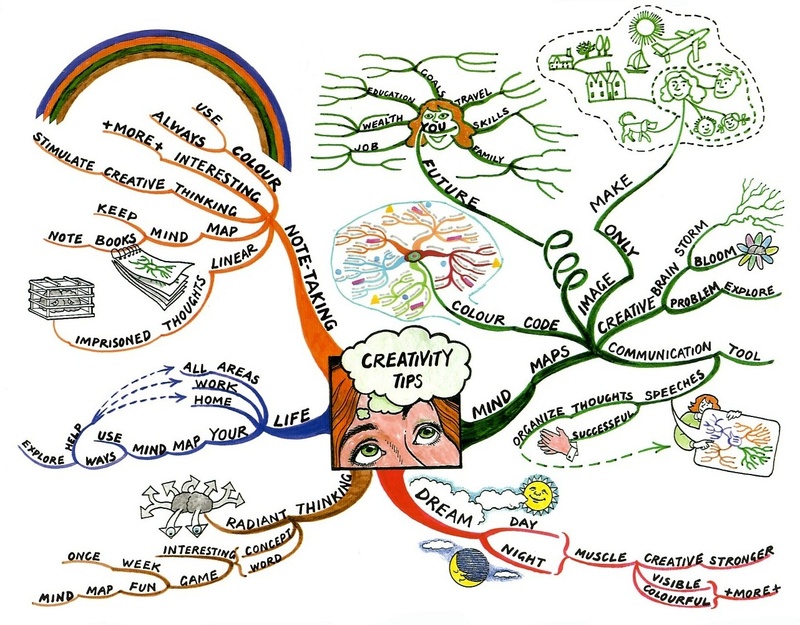 A Mind Map is a visual and graphic holistic thinking tool that can be applied to all cognitive functions, especially memory, learning, creativity and analysis. Mind Mapping is a process that involves a distinct combination of imagery, colour and visual-spatial arrangement. The technique maps out your thoughts using keywords that trigger associations in the brain to spark further ideas. Mind Maps can be drawn by hand or using software such as iMindMap. When creating a Mind Map, there are several elements to consider including the map’s central image, branches, colours, key images and words. When learning how to Mind Map, there are some key elements to consider. The central idea is the starting point of your Mind Map and represents the topic you are going to explore. Your central idea should be in the centre of you page and should include an image that represents the Mind Map’s topic. This draws attention and triggers associations, as our brains respond better to visual stimuli. Taking the time to personalise your central idea, whether it’s hand drawn or on the computer, will strengthen the connection you have with the content in your Mind Map. If you want to make your central ideas stand out in iMindMap, take a look at this blog post. The next step to get your creative juices flowing is to add branches. The main branches which flow from the central image are the key themes. You can explore each theme or main branch in greater depth by adding child branches. The beauty of the Mind Map is that you can continually add new branches and you’re not restricted to just a few options. Remember, the structure of your Mind Map will come naturally as you add more ideas and your brain freely draws new associations from the different concepts. Make your branches curved and free-flowing to represent the brain’s internal processes. The aesthetics in your Mind Map are important, so more linear branches tend to be avoided as they can be seen as boring, restrictive and ugly. Organic branches are easier to draw and more appealing to the eye. With this in mind, the more appealing and engaging something is, the more likely we are to remember it. Notice that the main branches radiating from the central idea are the thickest in the map. The thickness of the branch represents the importance in the map’s hierarchy and the thickest branches represent the map’s key themes. Branches become gradually thinner as you move away from the map’s central idea and drill down into more specific points. In iMindMap, you can draw main branches from your central idea by clicking the red dot which appears on the Branch Target. This feature allows you to quickly add child branches to your map. Individual branches on their own can be pieces of art, but collectively, branches can turn your map into a masterpiece. The branches in your Mind Map don’t need to be just curved, they can be transformed into doodles and shapes which will help you to remember the information on the branch. The branch itself serves as a memorable stimulus which is why iMindMap introduced Branch Art. This enables you to differentiate your branches and make them stand out. When you add a branch to your Mind Map, you will need to label it. A key principle of Mind Mapping is using one word per branch. Keeping to one word sparks off a greater number of associations than multiple words or phrases. For example, in the map below, if you label the parent branch ‘Birthday Party’, you are restricted to just aspects of the party. However, if you simply label the parent branch ‘Birthday’, you can explore the term, party, but also a wide variety of sub-topics including presents, cake etc which all relate to the term Birthday. It is often the case when you learn how to Mind Map that it is easier to include multiple words on a branch however, this does limit the avenues that you can consider in your Mind Map. If you do wish to add phrases to your Mind Map, these can be included in box branches in iMindMap. One word per branch also works well as it chunks information into core topics and themes. The use of keywords triggers connections in your brain and allows you to remember a larger quantity of information. This is supported by Farrand, Hussain and Hennessey (2002) who found that medical students who adopted Mind Mapping experienced a 10% increase in their long-term memory of factual information. Mind Mapping encourages whole brain thinking as it brings together a wide range of cortical skills from logical and numerical to creative and special. The overlap of such skills makes your brain more synergetic and maintains your brain’s optimal working level. Keeping these cortical skills isolated from one another does not help brain development which the Mind Map seeks to do. One example of whole brain thinking is colour coding your Mind Maps. Colour coding links the visual with the logical and helps your brain to create mental shortcuts. The code allows you to categorise, highlight, analyse information and identify more connections which would not have previously been discovered. Colours also make images more appealing and engaging compared to plain, monochromatic images. As one of the most complicated and largest underground maps in existence, the London Underground train map clearly depicts the importance of colour. In the black and white image, the map is useless as it is impossible to differentiate the various routes, but with colour, the routes are easily recognisable. Colours eliminate the need for words and help us to quickly take action. Another example where colour is vitally important is a set of traffic lights. Each colour has a different meaning which directly influences our behaviour and without it, we would behave differently. Images have the power to convey much more information than a word, sentence or even an essay. They are processed instantly by the brain and act as visual stimuli to recall information. Better yet, images are a universal language which can overcome any language barrier. We are intrinsically taught to process images from a young age. According to Margulies (1991), before children learn a language, they visualise pictures in their minds which are linked to concepts. For this reason, Mind Maps maximise the powerful potential of imagery. 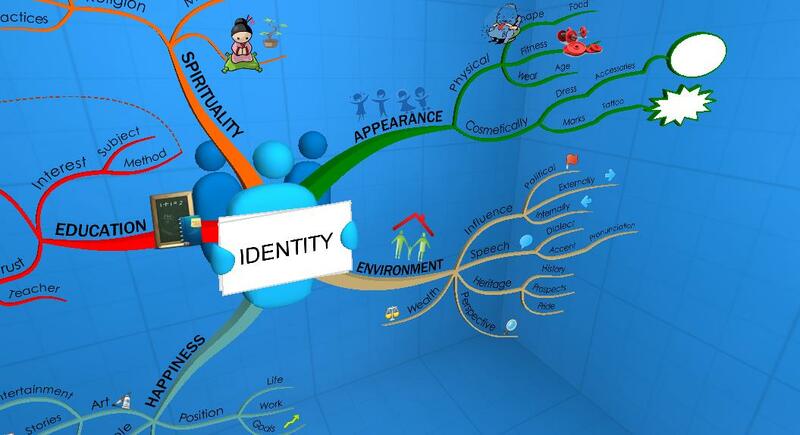 In iMindMap, it has never been easier to symbolise your ideas. You can quickly insert icons from the free icon library and draw your own doodles directly onto your Mind Map using the Sketch tool. You should use a variety of doodles, images, colours and words to really make your Mind Maps memorable. Better yet, why not teach yourself how to Mind Map without using words at all and allow the Mind Map itself to serve as an image! 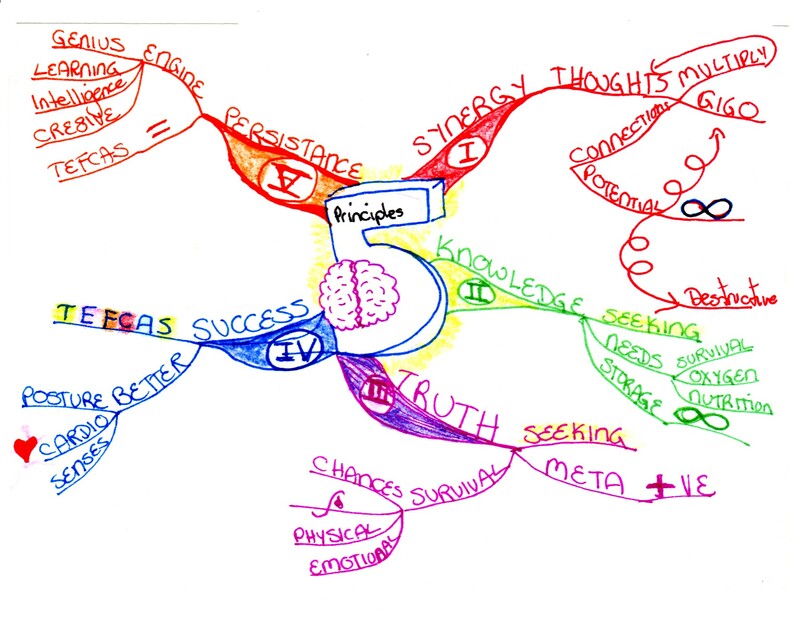 Mind Mapping is a life-long technique so once you have learnt how to Mind Map, you can continue to explore your thoughts in greater detail and you can use the map as an external canvas to make key connections outside of your brain. 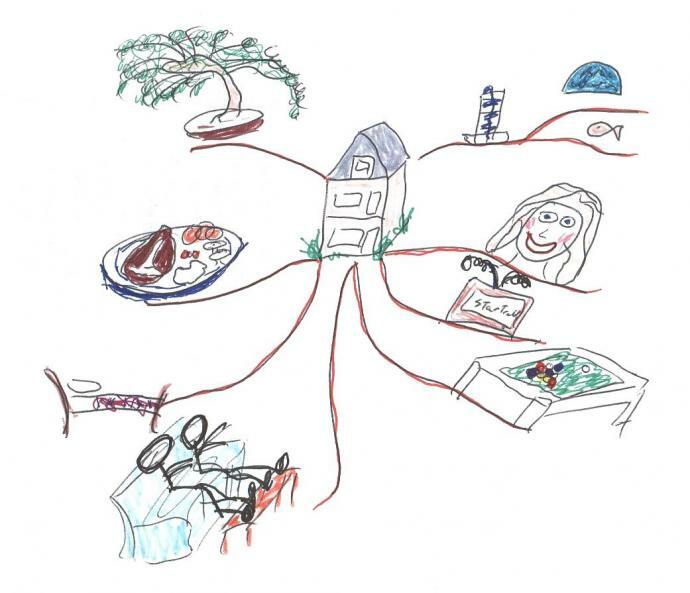 Tony Buzan’s technique can be used by anyone, anywhere to simply jot down their thoughts or create a detailed master plan. Finally, remember that the most effective Mind Maps are the ones you have created yourself, featuring plenty of notes, doodles and connections that you have identified, as opposed to using someone else’s map. How can I learn more about Mind Mapping? Download our free 85 page document here and discover the hard-hitting facts behind the technique. Download the 7 day free trial of iMindMap Mind Mapping software.